Welcome to our (largely) paperless Conference, thanks to Zerista, the official smartphone app for VALA2018. 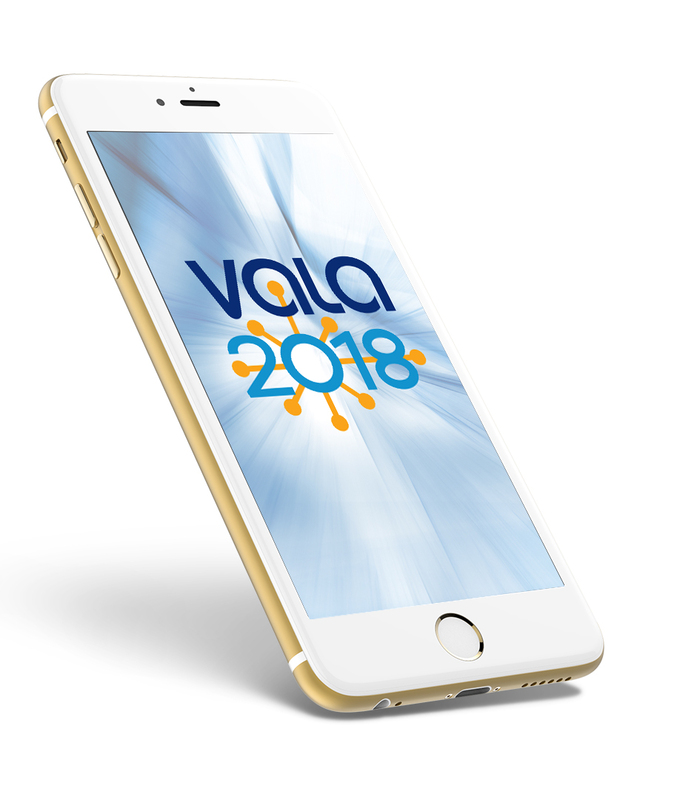 The VALA2018 official smartphone app is free for all delegates. The app is a networking and information tool for iPhone, Android and mobile web. All delegates have received an email pre-conference with an invitation to download the official Conference App. If you have not already downloaded your app, simply visit the Registration and Information Desk located in Concourse Area 3, opposite Door 6 of the Melbourne Exhibition Centre to retrieve your login details to download the app. Please note that to download the VALA conference app, your phone or device will require a minimum of Apple iOS 10 or Android 4.0. If your device doesn’t support either of these operating systems, use the browser on your device to access the same information at https://vala2018.zerista.com. Haven’t received an invitation? Check that your registration included your unique email address (not an administrator or generic that is shared by others); if you need to update your email address, or are having other difficulties accessing the conference app, please contact the VALA2018 Conference Office on T +61 3 9645 6311 or E vala@wsm.com.au.